Why use an email archiving system? The primary reason is to remove a major headache for your IT department. While email is vital to the flow of information throughout your organisation, it can be difficult to manage, retain and reference. By managing your organisation's emails in a separate archive repository - that can be indexed and searched - you can reduce the volume of data stored. Email archiving also provides your team members and your IT Department a highly practical e-discovery capability. Search and recall information stored in every individual email inbox across your entire organisation. Archive Manager is a complete email and messaging content archiving software solution. It enables you to capture, retain, discover and explore your Exchange email system using advanced search capabilities. 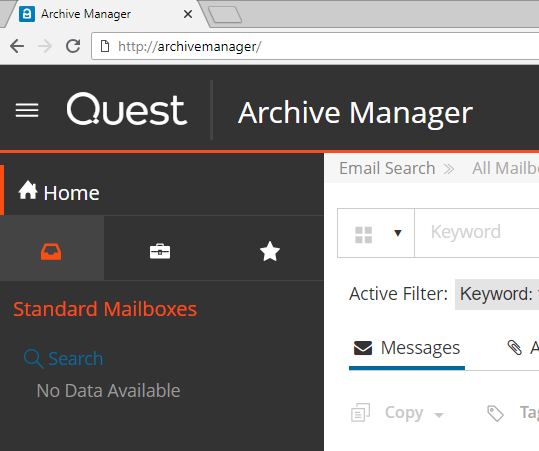 Archive Manager allows a single instance of each message to be captured and with applying granular retention and disposition policies, ensures efficient and effective Exchange email archiving. It even automatically removes duplicate content. 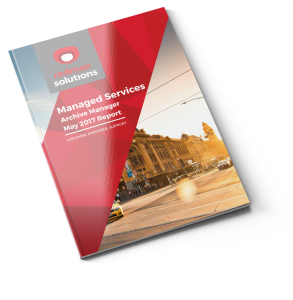 Redman Solutions offers a managed services program for Archive Manager. This includes remote administration, maintenance, monitoring and reporting services. The monitoring service consists of weekly checks of your Archive Manager system. Any issues that arise will be resolved at the earliest convenience or will be notified to you for further action. Free up your time to concentrate on the things that are important to your organisation. Our expertise in Archive Manager and software development has led to the creation of value-add features to Archive Manager that we call REAM – Redman Enhancements for Archive Manager. We have been working with and developing Archive Manager since 2004. This enhancement allows you to access your archived emails where ever and when ever you want. Moving to a new mail platform and need to migrate data? With 30 years collective experience, we are software veterans and we pride ourselves on confidentiality and timely data retrieval. Extracted emails can be supplied in multiple formats including .pst .msg or .eml. If you'd like us to contact you, complete the form and please include a brief description of what you're looking for. Thanks so much for taking the time to contact our email archiving team. Helping business create a better way to manage and search their email data is something we love to do. We'll be in touch shortly to start your process of discovery.